I think I caught the mall bug from Tiny Island, I went mall visiting today. First to Marina Bay Sands, then to the newly opened Marina Link Mall. In contrast to the crowds at Marina Bay Sands, Marina Link Mall was a total ghost town. I’m not surprised either. 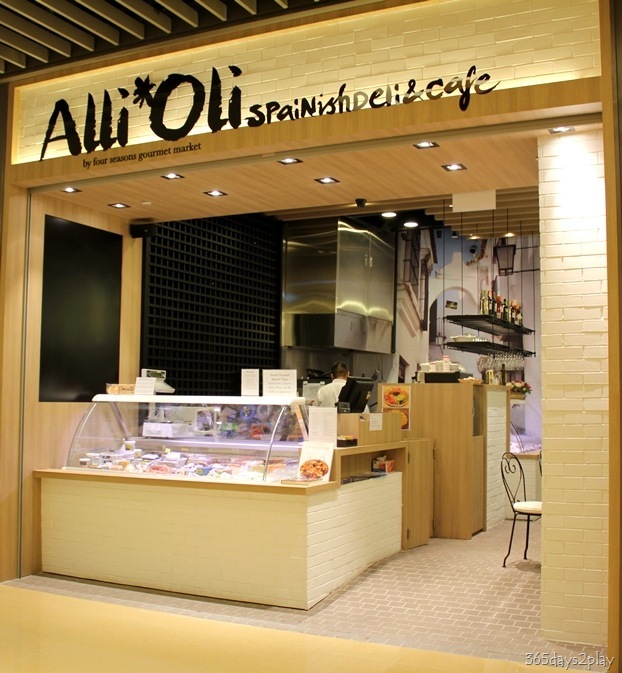 It’s a good 10 to 15 minute walk from Marina Bay Sands and is next to the new Marina Bay Financial Centre. It’s Sunday today so there are no office workers to patronise the place. I’m surprised it’s even open. If I wasn’t in a mall hopping mood, I would have just stayed at Marina Bay Sands. The new Marina Bay Financial Centre is cool. The sea views from the offices must be fantastic. I should know since I used to work in one of the Shenton Way buildings facing the sea. One big blue expanse of sea, the sight was enough to calm your nerves on the most stressful of days. The view will only get better when the gardens by the bay are completed. What a pretty picture. The banks and big businesses know it and have offices there. Here are some pictures I took of Marina Link Mall. Maybe I should return again on a work day when the shops aren’t empty. It would be nice to feel the buzz of the lunch time crowd, especially if I don’t have to go to work! 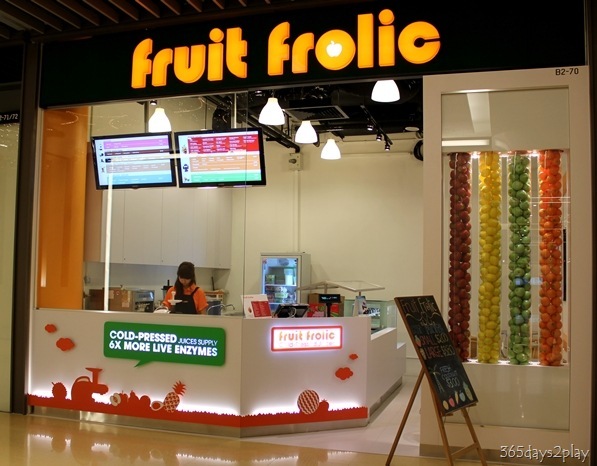 I had a fruit juice from Fruit Frolic after my 15 minute trek to Marina Link Mall. This concoction of lime, orange, pineapple and some other fruit is supposed to relieve pain. Well I don’t know about that but I think one of my resolutions for 2011 is to eat more fruits. 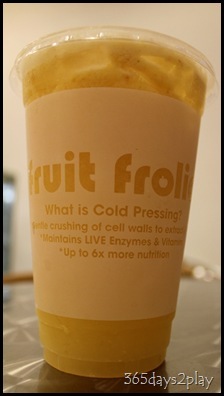 Instead of coffee every morning, I shall strive to have a fruit juice instead. 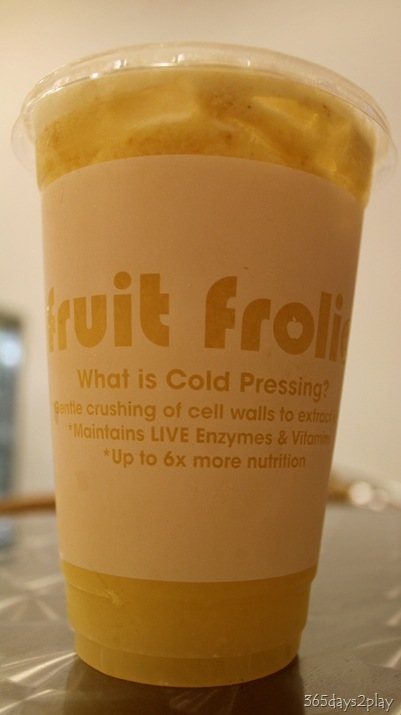 Fruit itself would be better but hey, baby steps! 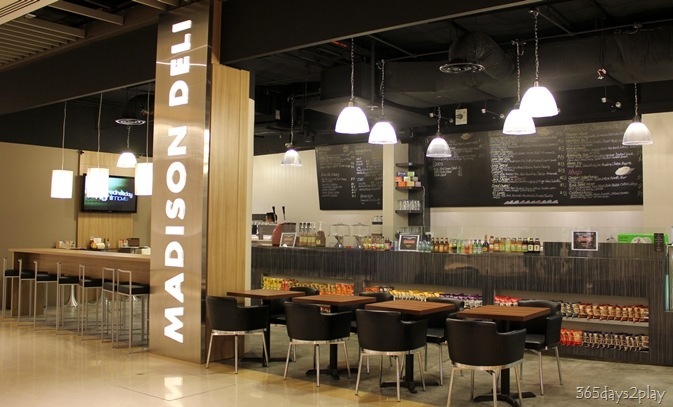 Madison Deli – Heard that the owner felt a lack of New York styled sandwiches in Singapore so he set up Madison Deli to fill the gap. 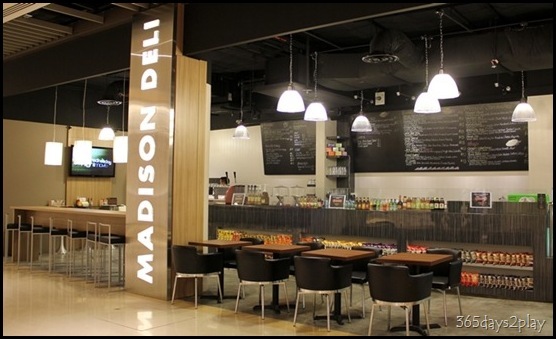 I do love checking out new delis and cafes for their sandwiches. That’s another 2011 resolution I have, to eat more sandwiches and salads for lunch. Going to decrease my intake of fried noodles, white rice and cooked food. 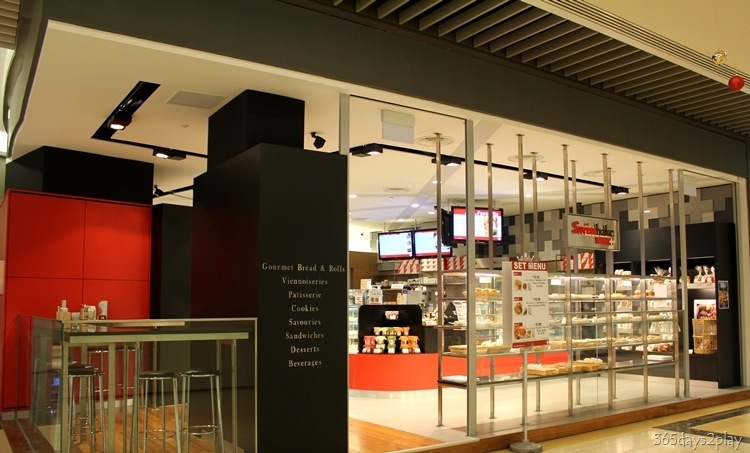 Swissbake – Similar to Cedele in that they have lots of European breads here. There is also a Cedele at Marina Link Mall. Four Seasons gourmet market – They sell a lot of organic stuff here. 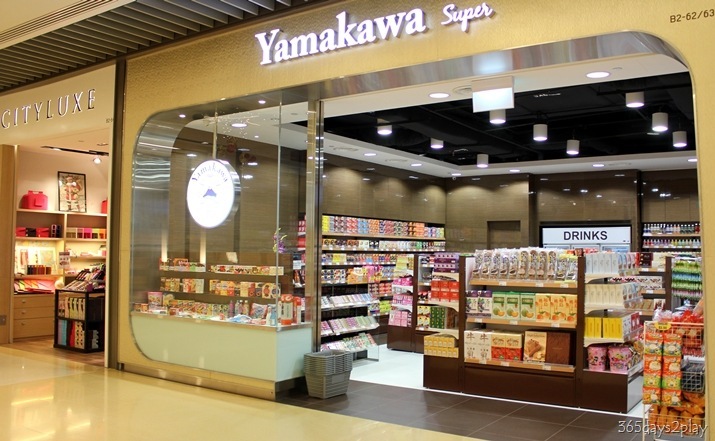 They also have a lot of interesting food items not available in the usual Cold Storage or NTUC. 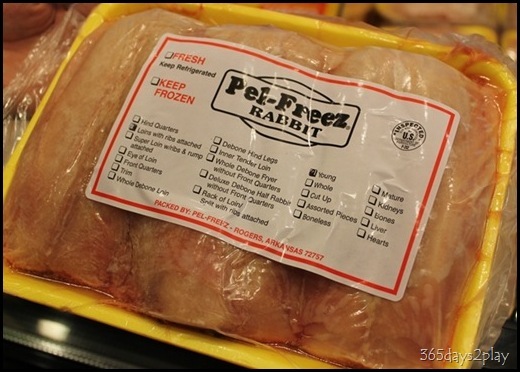 You can get things like pheasant pate here and rabbit. Rare bit of rabbit. 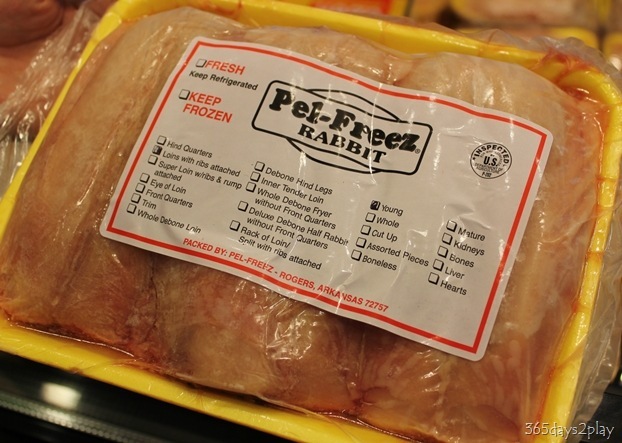 Rabbit is a very healthy meat you know. Don’t believe I’ve tried it before but I will soon. Daniel Boulud @ Marina Bay Sands offers rabbit for dinner and the Partner is quite keen to go. Hardly see rabbit in Singapore, and today alone, I’ve encountered it twice. Wonder if it is because of the upcoming Rabbit Year? Don’t bother with buying the gold rabbit ornaments or rabbit toys, eat more rabbit! 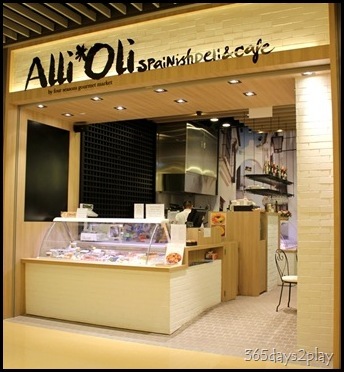 Alli Oli Spanish Deli & Cafe – Another deli/cafe! 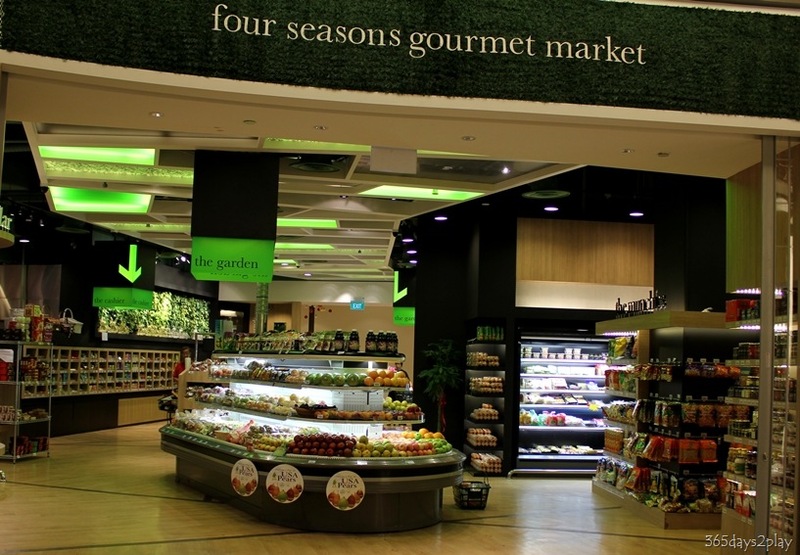 Opened by the Four Seasons Gourmet Market. There are many more stores and restaurants. 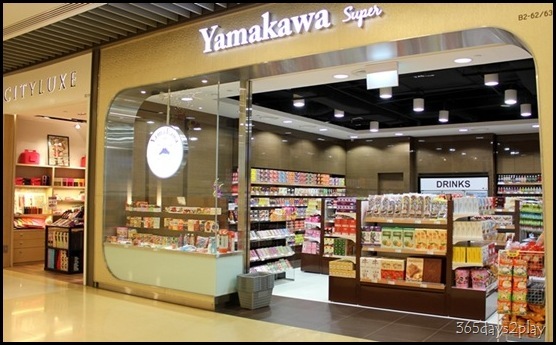 You can get here via the Raffles Place MRT station.